Share your pictures of our products and win a voucher! Did you enjoyed our products ? Share your photos on Instagram, Facebook, Twitter and win Vouchers. Each month a jury composed of Ludilabel's team members will chose a winning picture among all the images published on social networks containing the hashtag and the mention. 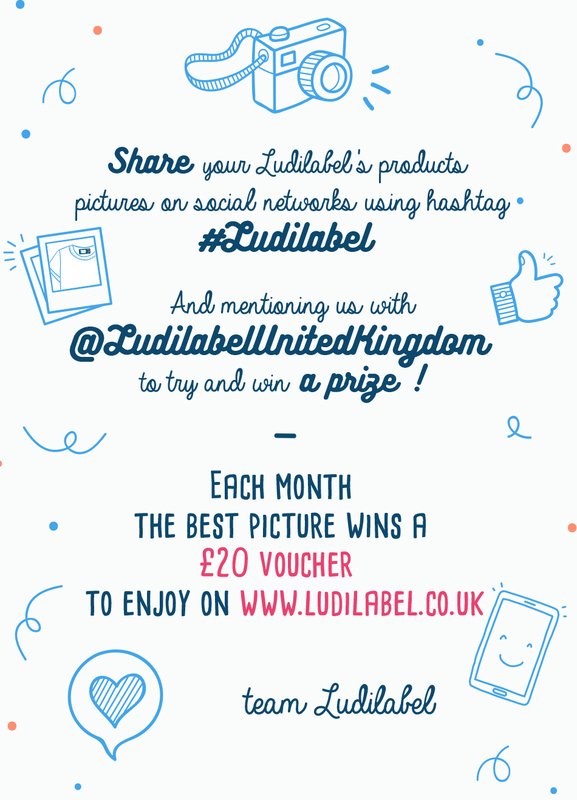 The person having published the winning picture will get a £20 voucher to use on www.ludilabel.com. We will get in touch with the winner through the social media profile to give away the coupon code.